A reader asked me recently about how to crochet with fabric strips to make floor rugs and other things. These are sometimes known as rag rugs because they are often made with rag fabrics like old clothes or sheets. I have never tried this but I did a little research and put together a collection of blog posts and tutorials that will hopefully point you in the right direction. This post from Linda on CraftSytylish gives some great advice on creating your strips of fabric and then how to work with them. Once you have your fabrics ready, Lisa from The Red Thread explains how to make a basic basket. 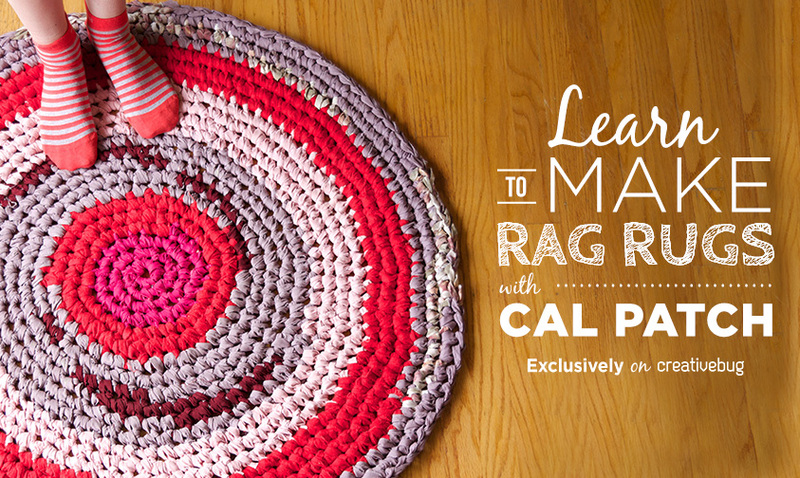 Sugar Bee Crafts has a fabulous step by step tutorial for making a rag rug including videos and how to join your strips. The New England Quilter has some suggestion on keeping your rug flat – and her’s looks gorgeous! Once you’ve mastered the simple rag crochet, this purse from Carla Barrett at Feathered Fibers looks like fun! After all that reading I’m definitely adding this to my To Do One Day List! 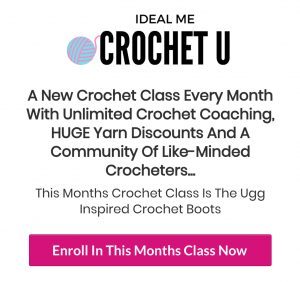 Have you tried crochet with fabric? Any tips to add? Leave a comment. I have tried both crochet and knitting with cotton strips, it works out fine but how do you stop all the fraying? It ruins the finished item as the cotton is constantly shedding, looks a mess, makes a mess. Any suggestions? I wonder whether you could “cut” your strips with your overlocker or serger so that you were finishing them as you went? Or could you use polar fleece or stretch fabric that doesn’t fray? Apparently to stop the excessive fraying, cut the fabric on the bias. Just a bit more time for a finish that will last longer than 10 minutes. I know ripping strips on the straight of grain is faster, but the result is never ending fraying, even with twisting. If done correctly, the fabric will fold into itself as you crochet. At least that’s what I’ve read from those who bias cut their fabric. Also may be no need to go to the extra work of twisting the strips. For no sewing the strips together, join with the snip and loop technique into the next strip. Or sew the bias ends before cutting. Google that technique. I don’t want the frayed look for grandkids or adults to pick at…literally pick at. Thanks, Ann – great tips! In order to make a nice finish to your crochet rugs, turn the rug over for the final row and go the other way using a single crochet and going through both loops. This allows the rug to lay better and hug the floor. Makes a much prettier finish. I’m changing the decor in my bedroom to coastal. I have a king size adjustable bed which is a nightmare for bed skirts. So I want to crochet in tan fabric a loooong runner band to hug the lower mattress to mimic woven rush or wicker to look like lounge chairs. I’m hoping to use a placemat pattern and just run it very long till it fits. I usually bite off more than I can chew but I think I’m hungry enough. Wish me luck. Sounds like a great plan – can’t wait to see it! Yes, turning rug over and single crocheting makes a nice finish, called crab stitch.